Come and join us for a fantastic night of Ska music. The SKAstuds are performing live supported by a DJ playing on until late. The SKAstuds are an 8-piece Birmingham-based Ska and Reggae band who play music by The Specials, Bad Manners, Madness, The Beat, UB40, Prince Buster, Laurel Aitken, The Skatalites, Toots & the Maytals and more. 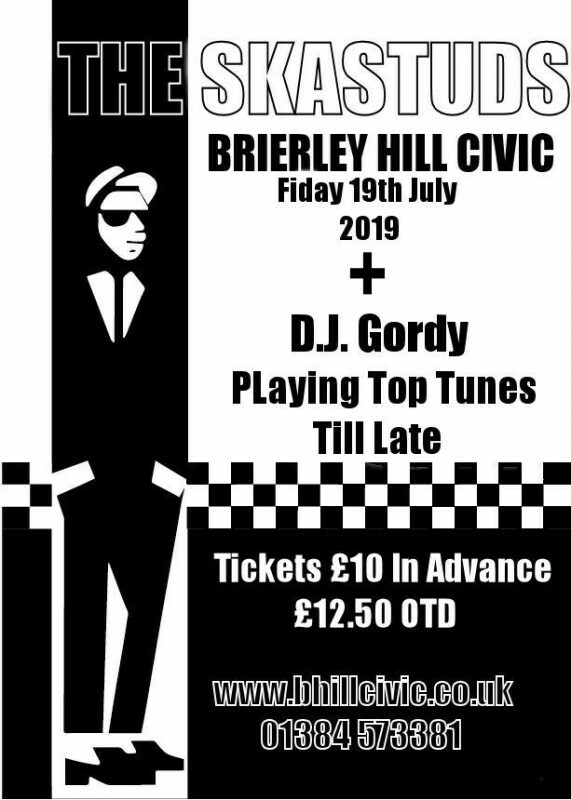 If you love a bit of Ska, don't miss this! Tickets: £10 in advance or £12.50 on the door.